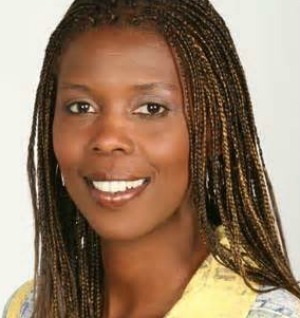 Star Parker is the founder and president of CURE, the Center for Urban Renewal and Education, a 501(c)(3) non-profit think tank which promotes market based public policy to fight poverty. Before involvement in social activism, Star Parker had seven years of first-hand experience in the grip of welfare dependency. Now, as a social policy consultant, Star Parker is bringing new energy to policy discussions on how to transition America's poor from government dependency. She is a sought after expert on Capitol Hill in Washington, DC and for national radio, television, and print interviews, nationwide. Parker has a BS degree in Marketing and Business from Woodbury University and has received numerous awards and commendations for her work on public policy issues. She consults with Republican legislators on numerous urban issues, has lectured on anti-poverty initiatives at more than 180 colleges and universities and serves on the advisory boards for several national organizations. Star Parker's personal transformation from welfare dependent to conservative crusader has been chronicled by ABC's 20/20; Rush Limbaugh; Readers Digest; James Dobson; The 700 Club; Dr. George Grant; Christianity Today; James Robison; Newsmax, Charisma, and World Magazine. Other major accomplishments include speaking at the 1996 Republican National Convention, and hosting a documentary on poverty with the BBC in London. She has debated Jesse Jackson on various headline issues; she fought for school choice on Larry King Live; she defended welfare reform on the Oprah Winfrey Show, and she debated healthcare reform against Michael Moore on ABC's The View with host Barbara Walters. In 2010, she ran for the Republican Congressional seat in California's 37th District and was unanimously nominated. Though she did not win the seat, she more than doubled Republican votes in the district. Today, in addition to heading CURE, Star is a syndicated columnist for Scripps News Service, offering weekly op-eds to more than 300 newspapers and internet news sites worldwide, includingthe Boston Herald, the Dallas Morning News, the Orange County Register, the Korean Times, the Washington Examiner, and the Star and Stripes, which is the largest newspaper serving the men and women of our Armed Forces stateside and abroad. "Easy to follow, beautifully organized. Both tremendously practical and tremendously fun. It was the most informative workshop I've ever attended."